I’ve seen people who find old used trailers that have been lying around for years and choose to fix them up. 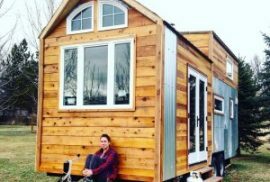 This is clearly the cheapest solution to possibly the most expensive part of a tiny house. In the beginning of my research, I too scoured Craigslist for old trailers and researched all the necessary parts a road worthy trailer needs. Breaks are super important on a trailer loaded with 10,000 pounds. As are lights and a frame that can support the weight of the walls on the outer perimeter. Car hauler trailers are designed to have most of their weight in the center of the trailer, unlike tiny house trailers. Additionally, I learned that if insulation and the sub floor can be placed inside the body of the trailer, then I could save about 5″ of head space. All of my research made it more difficult to find a used trailer that fit my needs, and the repeating questions were, will my future house be safe driving across country? Do I want to save money, add labor and time fixing it up, and still possibly have a less stable foundation for my tiny house? The visuals kept running through my head of being stuck on the side of the road in the middle of somewhere like Nevada because my trailer was unfit. After a month or so I decided to go with a new trailer and spend a large percentage of my budget for the right foundation. I began the search for a manufacturer that had exactly what I was looking for. I really didn’t need to look far, because less than a 45minute drive away from my build site was Trailer Made Custom Trailers LLC. Their trailers had everything that I had previously concluded as important aspects of a tiny house trailer. They build their trailers with a side flange so it’s easy to bolt the framed wall right into the metal. 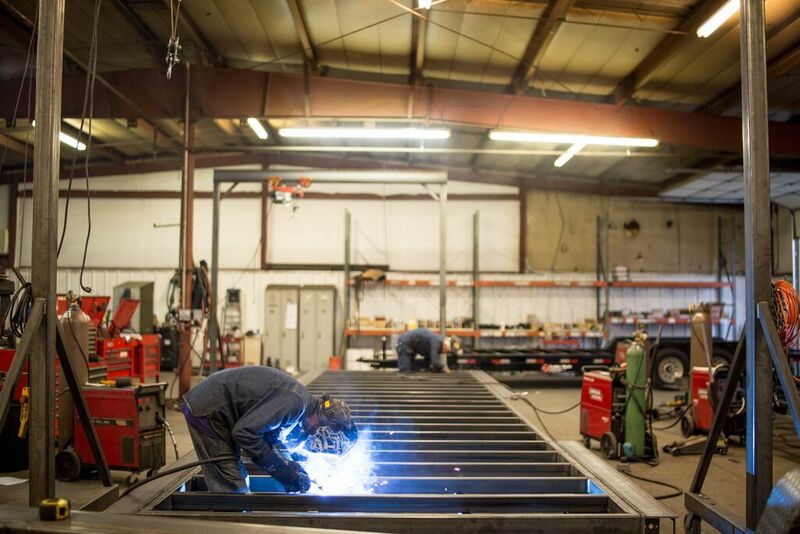 They also use square steel tubing, which is the strongest material a trailer could be built with, and I can lay my floor insulation right into it. 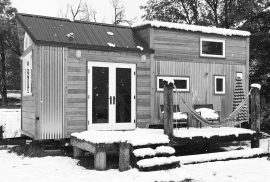 Not to mention Damon and Natalie at Trailer Made are so knowledgeable and connected to the tiny house community. They answered numerous questions of mine with prompt email responses and always were quick to answer the phone when I called. 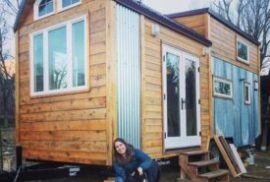 They work with other companies across the country within the tiny house movement, and were eager to connect me with anyone who could help with my build. One of their partners is Volstrukt, a new company out of Austin, TX. They put together steel framing kits specific to your design. I’m currently in contact with them and can’t wait to learn more! It took the crew at Trailer Made less than two weeks to make my 22′ trailer, and a couple days ago I picked it up. It was definitely a day to celebrate, and one that I had waited months for. I danced on my new tiny house foundation, talked a bit to Natalie and Damon, and drove out to the farm on Isabelle Road (coincidental name) where the trailer now awaits the build. The guys at Trailer Made are the best! With Natalie and Damon the owners of Trailer Made.